Gentle Readers, we have had quite a weekend. Various organizations have a habit of declaring this day and that a day to celebrate, remember, or mourn some historical event. Wealthy, powerful organizations usually have people on staff who will check and see what occasions warrant the usual statements or when they ought to refrain from certain things. The White House, the center of the wealthiest and most powerful organization on the planet, for now, has the staff to keep track better than most. Holocaust Remembrance Day came on Friday and the Trump White House put out two statements in honor of the occasion. The first addressed the occasion directly, albeit in an unusual way. In three paragraphs, the man who appointed an antisemite his chief adviser somehow neglected to mention any particular victims of the Holocaust. Once, people we used to consider the epitome of evil worked to physically erase the Jewish people from the Earth. Now their admirers would do the same to their memory. In this, they follow the example of their international counterparts. If they must acknowledge the Holocaust, then it would not do to give the impression that they objected to the choice of victims. The White House pleads that other people died in the Holocaust. In an effort to be inclusive, they chose language which could apply to LGBT people, Jehovah’s Witnesses, the Roma, Sinti, and Slavs. Related programs murdered the disabled. Had the White House given the full list, no one would have objected. Had they just listed the Jews, as the Nazi’s principal victims, they would have followed the precedent of past statements. Any public statement to come out of a modern White House goes through many hands, checked and rechecked. We cannot fairly call this an accident or oversight; the Trump Administration made a choice. The second statement in memory of the Holocaust came in the form of an executive order. Therein Trump forbade the entry of refugees from Syria indefinitely. Driven from their homes by a civil war between a brutal dictator and brutal religious fanatics, the latter of whom earned a Made in the USA sticker by rising out of our war for pleasure against Iraq, they will find no safety here. The poor, huddled masses yearning to be free can instead find freedom from the mortal coil in the tender ministrations of ISIS. Previous to this, those masses largely consisted of homeless children, the elderly, and the seriously ill. None fits my profile for a terrorist, but I confess myself unlearned in such things. We have feared refugees before, particularly when they adhere to a less familiar religion. Trump’s other restrictions on entry from a list of Muslim-majority countries exempt religious minorities, so non-Muslims. All of the restrictions, over the objection of the Department of Homeland Security’s lawyers, apply even to legal residents of the United States. Steve Bannon, the antisemite aforementioned, overruled DHS. His victims must endure extreme vetting, as if they had not already gone through the torturous, expensive process of acquiring their green cards. We designed said process to generate refusal for all but the most determined and well-lawyered, incidentally. Even those who hazarded their lives to aid us in our misbegotten wars in the Middle East for the promise of admission to our occasionally fair land must submit. This vetting, it seems, includes yielding up their phones, social network accounts, and asking their opinion of Donald Trump. I digress; you come here for history and I have written entirely of current events. In 1939, the St. Louis sailed from Hamburg for Cuba, with the idea that its nine hundred plus passengers would wait there while others arranged their entry to the United States. It didn’t work that way; the City on the Hill declared the Statue of Liberty closed and eventually the ship returned to Europe. We had strict quotas on immigration, you understand; we could not break our rules. (The quota system stood until 1965.) Some nations took on a few of the Jewish refugees aboard, but about half died in the Holocaust. If you grew up in the United States at any time in the past sixty years, you probably know this story: A Jewish family hides from the Nazis in a secret room. One of them, a young girl, keeps a diary. Someone betrays them and the Nazis come. The father survives and one of the people who helped hide the family gives her the papers she found in their hiding place, the diary included. Its author died in Bergen-Belsen. We didn’t know the rest of the story when I sat in the eighth grade and read the book, but it came out a few years ago: Otto Frank sought entry to the US for his family. We refused them just as we refused the passengers on the St. Louis. I don’t know what to say to that. Thousands of Americans have made their discontent known by flooding the airports. The ACLU got a court order suspending enforcement of the executive order for holders of green cards, but now I see reports that the customs officials don’t see court orders as something requiring their compliance. People ordered released remain in custody as of this writing at more than one airport. That looks less like obstinate bad apples and more like planned resistance. It may be that eight days into his administration, Donald Trump has already decided the courts have no power over him. In the previous eight days, Trump ordered the silencing of all executive branch communications with the public. He has essentially removed the Joint Chiefs of Staff, military professionals, from the National Security Council and replaced them with Steve Bannon, publisher of this sort of thing. Now this. When movements like these happen in other countries, we call it a coup. Tomorrow we may wake up and find out that Trump caved and this crisis has passed. Or we might not. The last, and only, president who fell did so because a hostile Congress proceeded against him. Trump has no such adversary. We left J.B. Donaldson’s response to Lawrence with the Marshal unimpressed by his correspondents’ attempt to play dumb, sincere or otherwise. So far as he cared, they knew just what he wanted. He also deemed them inclined by disposition to obstruct his work and perhaps feed him some piping hot bullets for his trouble. To support that, he cited their treatment of Sheriff Samuel Jones. That Jones represented the territorial government rather than the federal didn’t matter much to him, even if the distinction held great weight with Lawrence’s antislavery luminaries. And anyway, whatever they might say to Donaldson to ease his fears they had a whole town fortified and armed to the teeth for him to hazard on no more than their good word. If no outrages had been committed by the outlaws in Lawrence against the laws of the land, they need not fear any posse of mine. But I must take the liberty of executing all processes in my hands, as the United States Marshal, in my own time and manner, and shall only use such power as is authorized by law. This, indeed, sounds strange from a large body of men armed with Sharpe’s rifles, and other implements of war, bound together by oaths and pledges, to resist the laws of the government they call on for protection. All persons in Kansas Territory, without regard to location, who honestly submit to the constituted authorities, will ever find me ready to aid in protecting them; and all who seek to resist the laws of the land, and turn traitors to their country, will find me aiding and enforcing the laws, if not as an officer as a citizen. In other words: Lawrence could go to hell. By unsubtle implication, Donaldson said that he considered the existence of the free state movement cause for action against it. Only if they disbanded completely and submitted themselves to all the territorial laws that force and fraud had bought for slavery, would he lift a finger to protect them. Otherwise, he understood command of the forces arrayed against them his rightful place. After relating all of this, William Phillips informed his readers that Donaldson wrote none of it. Phillips believed him too stupid to manage such a feat and pinned it on a filibuster “of unusual malignity and literary excellence.” Donaldson’s penchant for the run-on sentence argues for a less than outstanding education, but it sounds like the work of a proslavery man bent on the destruction of his foes regardless of who wrote it. 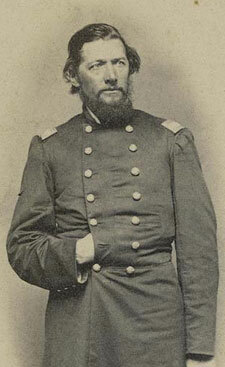 J.B. Donaldson had an army, which he called a posse, massing at Lecompton to move against Lawrence. The people of Lawrence asked for help from Edwin Sumner, of the 1st Cavalry. Citing his orders to only act on the request of Governor Wilson Shannon, he said he couldn’t. They asked Shannon. He told them no. That left appealing to Donaldson himself, which a public meeting did on May 14. They promised that he could serve any process he had in Lawrence without trouble, so he did not need that posse. Furthermore, they didn’t know exactly what Donaldson wanted of them. However, since the town had armed men all about harassing travelers, might the Marshal do something about that? From your professed ignorance of the demands against you, I must conclude that you are strangers, not citizens, of Lawrence, or of recent date, or been absent for some time; more particularly when an attempt was made by my deputy to execute the process of the First District court of the United States for Kansas Territory against ex-Governor Reeder, when he made a speech in the room and presence of the Congressional Committee, and denied the authority and power of said court, and threatened the life of said deputy if he attempted to execute said process; which speech and defiant threats were loudly applauded by some one or two of the citizens of Lawrence, who had assembled at the room on learning the business of the marshal, and made such hostile demonstrations that the deputy thought he and his small posse would endanger their lives in executing said process. That barely resembles Reeder’s version of events and the minutes of the Howard Committee reveal no such dire confrontation. The former Governor might have mocked Fain and said something to the effect of “go ahead and try” in the presence of friends, but Donaldson’s version sounds like much more. All that may have taken place, but I’ve only seen claims to it here. may it possibly be that you, now, as heretofore, expect to screen yourselves behind the word ‘legal,’ so significantly used by you? that the whole population is armed and drilled, and the whole town fortified; when, too, I recollect the meetings and resolutions adopted in Lawrence, and elsewhere in the territory, openly defying the law and the officers thereof, and threatening to resist the same to a bloody issue, and recently verified in the attempted assassination of Sheriff Jones while in the discharge of his official duties? Donaldson ignored the distinction between Lawrence’s commitment to respect federal authority and its repudiation of the territorial government. To him, it probably didn’t matter. He likely saw Jones as an officer of the law, just like him, and didn’t care to hazard his life on the careful parsing of some abolition fanatics. That doesn’t necessarily make him a partisan hack eager to destroy the town, but at some point one has to look at the size of the “posse” he expected to help him out and wonder. One can’t put a firm number on this, but Donaldson did not need hundreds of men to guarantee his safety in Lawrence. A few dozen likely would have done the trick, especially if the men he wanted had fled as he suspected. Lawrence need not put up a fight to save people already clear of capture. It looks like still like Donaldson either had grander plans from the start or didn’t much care if his army engaged in some extracurricular depredations while he did his work. With J.B. Donaldson’s proslavery posse bearing down on them, the people of Lawrence held a public meeting and sent off a resolution promising they would cooperate with all federal authority, but would fight to the last to defend themselves from invasion. Wilson Shannon and Donaldson himself received copies, for what good it might do. Shannon had already told the town that he would do nothing. Beyond that, the leaders of the committee of safety couldn’t agree on any course of action. Some hoped for compromise solutions. Others pointed out that even if they wanted to defend the town, they lacked the men and supplies. As a result, several who did favor armed resistance quit the committee. The townspeople sacked their old committee and made a new one, including some of the old but also fresh blood that might more likely make a fight of things. A few days later, Samuel Pomeroy returned from Emigrant Aid Society business in the east and joined. respectfully, that we be reliably informed what are the demands against us. We desire to state, most truthfully and earnestly, that no opposition whatever will now, or at any future time, be offered to the execution of any legal process by yourself, or any person acting for you. We also pledge ourselves to assist you, if called upon, in the execution of any legal process. The authors might have played dumb here. The meeting had to know, from Donaldson’s own proclamation, that he had warrants to serve. But Lawrence also had a record of not molesting federal officers in their duties, so just what more could Donaldson want from them? They could at least get him more clearly on the record. The authors assured Donaldson that they didn’t believe he wanted any such thing, as one does, but they had his overgrown posse to fear. They knew Donaldson could come to Lawrence untroubled, which meant he must either have chosen to join in its destruction or to serve as the vehicle by which a posse gone wild did the work. J.B. Donaldson, US Marshal for the territory of Kansas, had warrants to serve on various free state leaders who lived in and about Lawrence. Serving the process of a federal court, in this case Samuel Lecompte’s district court for the territory, formed an ordinary part of his duties. He couldn’t not do it but, if he had any interest in doing it peacefully and limiting the action to his official obligations, he might have done better to summon a small posse and go in with a dozen or so armed friends. He chose instead to make use of the proslavery forces already gathering for a move against Lawrence, calling on them by a proclamation. They would converge in Lecompton and then march on the antislavery town. They got wind of that in Lawrence and pleaded with Wilson Shannon, governor of Kansas, to come to their rescue. Shannon would happily give them all the help they required, if only they would disarm themselves and disband their defenses in the face of a force bent on their destruction. This, William Phillips thought, constituted a declaration of war. Donaldson’s force, summoned on the eleventh of May, 1856, would take at least a short while to arrive. That gave the committee of safety time to try something else, but they had no consensus on that next step. Ever since they learned of the proclamation, via Phillips, they differed on whether to even mount a defense of the town. Cyrus Holiday though the effort a waste because the farmers who had come in the winter could not come at planting time. The businessmen who had given Lawrence help then had not yet received full payment and so would not send still more. Still others thought they ought to get together their own posse, a few hundred strong, and offer it to Donaldson in lieu of his own. While at Lecompton, they could even requisition some weaponry from the stores at the territorial capital. that the allegations and charges against us, contained in the aforesaid proclamation, are wholly untrue in fact, and the conclusion which is drawn from them. The aforesaid deputy marshal was resisted in no manner whatever, nor by any person whatever, in the execution of said writs, except by him whose arrest the said deputy marshal was seeking to make. And that we now, as we have done heretofore, declare our willingness and determination, without resistance, to acquiesce in the service upon us of any judicial writes against us by the United States Marshal for Kansas Territory, and will furnish him with a posse for that purpose, if so requested; but that we are ready to resist, if need be, unto death, the ravages and desolation of an invading mob. Lawrence did have the facts on its side. When Fain came to arrest Andrew Reeder, no one abused him. Reeder declined to go, but Fain then parted still untroubled. He came back to Lawrence the next day, a fresh warrant in hand, and once again left unharmed. 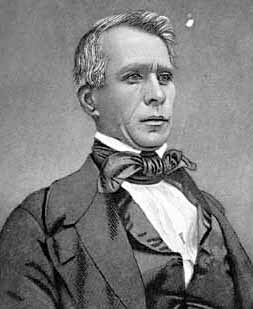 Everyone in town knew that and probably few people in Kansas could have missed the difference between Fain’s work and Samuel Jones’, the latter of whom did see armed resistance until he brought in the Army and subsequently caught a bullet in the back. The latest invasion of Kansas by proslavery forces aimed at the free state headquarters of Lawrence could claim federal imprimatur. Governor Shannon declared he would not stand in its way, as Lawrence faced only a posse gathered under the authority of the federal district court to serve out its warrants. The hundreds of armed men converging on the town didn’t look much like a posse to anybody else, but this time Shannon hadn’t done anything to make himself responsible for its formation. 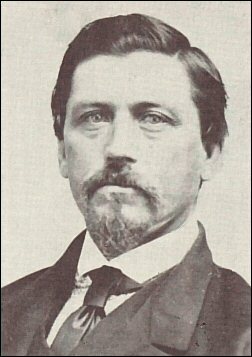 Instead, that distinction went to J.B. Donaldson (or Donelson), the United States Marshal. Donaldson didn’t mention Jones and his shooting, but no large group of men with guns had confronted Fain. At best, he entered a room with thirty people inside and tried to arrest Andrew Reeder. Reeder told him to get lost, which Fain then did. The Howard Committee might have provided a hostile audience to Fain, but they decided that they had no power to intervene in his business. I’ve found no reference to the deputy otherwise facing serious threats. A group of men did turn out to frustrate Jones until he got a detachment of the 1st Cavalry as bodyguards, but Donaldson specifies that the deputy Marshal, not the Sheriff, had trouble. the law-abiding citizens of the territory are commanded to be and appear at Lecompton, as soon as practicable, and in numbers sufficient for the execution of the law. One doesn’t issue a call like this when one only wants five or ten trusty men. Donaldson could have gone around town and scared up as many in a few hours, most likely. He wanted an army and had to know he had one waiting for such a call, in the person of the many bands that Marc Parrott and Andrew Reeder reported moving into Kansas before the eleventh. Donaldson declined to circulate his proclamation in Lawrence, but they got wind of it all the same and sent their appeal to Shannon with it in mind. According to William Phillips, the governor consulted with the proslavery leadership and Jefferson Buford before telling Lawrence that he would do nothing to help them. 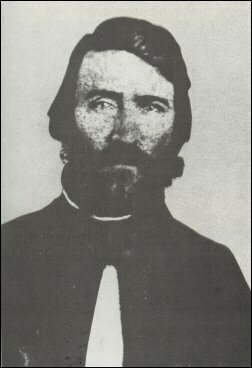 When Wilson Shannon, Governor of Kansas, told the people of Lawrence that they could disarm themselves in the face of an armed foe bent on their destruction if they wanted him to lift a finger to save them, he claimed the only danger they might face came from a legally-constituted posse. Under ordinary circumstances, and if the governor had burdened himself with facts, one might not find much to quarrel with in that. For a governor to interfere with the work of the courts must raise suspicions of executive usurpation. But Lawrence faced rather more than a posse, and when confronted with a posse of United States dragoons, the town had offered no direct resistance. Lawrence came to all of this by two roads simultaneously. 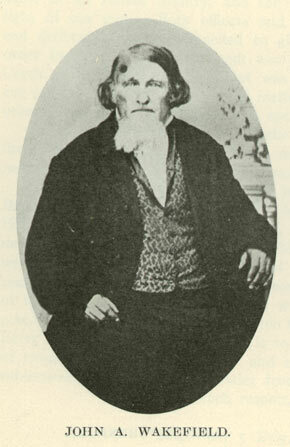 Samuel Jones, the proslavery sheriff, came into the town to apprehend Samuel Wood. Wood, a free state militia officer, had rescued fellow officer Jacob Branson from Jones’ custody back in December. This even precipitated the first campaign against Lawrence. Wood declined to go with Jones and a scuffle ensued, which deprived Jones of a pistol. Wood and the men who helped him get free from Jones promptly made themselves scarce. Jones applied to the 1st Cavalry for help, securing about a dozen soldiers who went back into Lawrence with him, searched the town and surrounds, and found none of his original quarry. He arrested about ten others and camped in town. Someone shot him in the back. 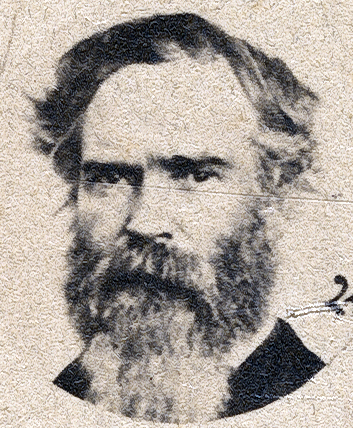 Jones survived, but the proslavery press reported his death. a comparatively illiterate and informed man,. and, judging from his manner of acting in his official capacity, totally devoid of the legal knowledge necessary to dignify his office. […] He is a man past middle age, of coarse, unintellectual face, and, from his looks, ought never to have held a station above that of town constable; he would not have been too well qualified for that. Ugly and unqualified or not, Donelson passed the matter of Lecompte’s warrants over to a Georgian named Fain. Fain tried to serve one against Andrew Reeder, then working with the Howard Committee. Reeder dismissed Fain’s summons on technical grounds, so he returned the next day with a warrant for contempt of court. Reeder declined to go with him because he had privilege from arrest, that the summons would impede his work with the committee -Lecompte probably agreed-, and that he would find his murder while in the custody of proslavery men inconvenient just then. Meanwhile, the rest of those with warrants against them began to depart Lawrence for safer pastures. Reeder soon followed. he went down to Franklin, where at that time a band of Southerners, under Capt. Moon, were stationed. There the alarm was given, and soon scouts were sent to Missouri to gather in the Southerners still stationed there. Last time around, Jones had gone from losing Branson straight to Franklin to write Missouri for help. Now Fain had done the same. 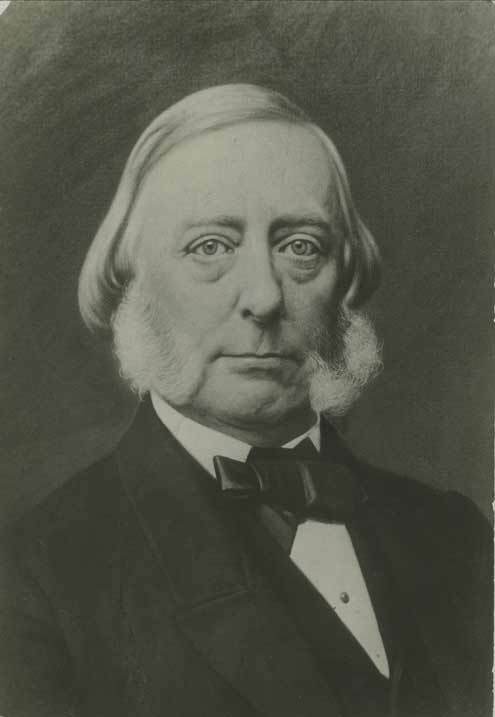 Where Jones could claim the mantle of the territorial government and militia for his first campaign, the second could proceed with the imprimatur of the federal courts. Captain Walker left Lecompton with a letter from Governor Shannon for the good people of Lawrence. He dodged some bullets and escaped proslavery pursuit whilst carrying it back to the town, which stared down the barrels and blades of a gathering proslavery army. The governor could come to their rescue far more effectively than he had during the Wakarusa War, considering he now had authority to draw on the 1st Cavalry to preserve order. Lawrence knew that and appealed to E.V. Sumner, in command, directly. He only had to give the town a nod and all the stress of the past few days would quickly pass. Shannon, we should remember, hailed from the northern wing of the proslavery party. He lost his seat in the House of Representatives for voting for the Kansas-Nebraska Act. He came to Kansas determined to let slavery’s friends consolidate their ill-gotten gains in the nation’s newest territory. But he had drawn the line at armies on the march before, doing all he could to restrain the proslavery men who moved on Lawrence in December. He preferred antislavery Kansans disarmed and wouldn’t shed any tears if their wildcat government collapsed, but he didn’t want them dead. Hate him as they may, even the free state party could appreciate that. He had to do something. there is no force around or approaching Lawrence except the legally constituted posse of the United States Marshal and Sheriff of Douglas County, each of whom, I am informed, have a number of writs in their hands for execution against persons now in Lawrence. I shall in no way interfere with either of these officers in the discharge of their official duties. You could believe Wilson Shannon or you could believe your lying eyes. Shannon admitted that a force existed, but called it only a posse. The posse trick hadn’t fooled him back in the winter, but now something had changed. The federal warrants might have done it; with a US Marshal involved, the convalescing Jones and his band of hooligans might exercise greater restraint. Or the governor may have decided that since he didn’t bear personal responsibility here, as he had when he summoned the Kansas militia against Lawrence previously, they could all go hang. If the citizens of Lawrence submit themselves to the Territorial laws, and aid and assist the Marshal and Sheriff in the execution of processes in their hands, as all good citizens are bound to do when called on, they, or all such, will entitle themselves to the protection of the law. But so long as they keep up a military or armed organization to resist the Territorial laws and the officers charged with their execution, I shall not interfere to save them from the legitimate consequences of their illegal acts. Someone in Lawrence had shot Samuel Jones when he tried to execute a warrant, fair enough. But no one answered the warrants from Lecompte’s grand jury with hot lead. Even in Jones’ case, when he appeared with a posse drawn from the 1st Cavalry the people of Lawrence acquiesced. They may have played dumb or hid the people sought, but it seems violent resistance of any kind ceased with the appearance of the military. If they wanted help, they must disarm themselves in the presence of an army enemy bent on their destruction. Shannon asked more than political suicide here; he wished antislavery Kansans to commit actual suicide.